(CHARLESTOWN,NEVIS–Friday, June 3rd 2011) On June 1, 2011, Premier and Minister of Education in the Nevis Island Administration (NIA), Hon. Joseph Parry, officially opened the celebration of Child Month 2011, under the theme ”Strong families + Strong programs + Strong Communities = Well rounded children”. 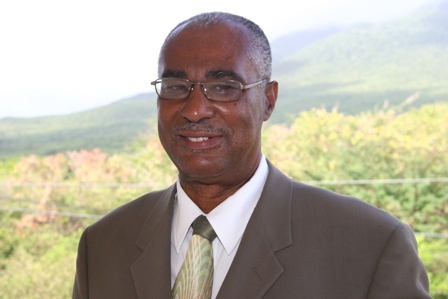 In a televised address from his Bath Hotel office, Mr. Parry spoke of the many years that Nevis has set aside the month of June for the honoring of children. “Child month activities are not new and this is the 27th anniversary celebration in Nevis. For the last few years citizens and residents have supported the child month activities and we all look forward to the Child Month march through Charlestown when parents march with their pre-school children together,” said the Premier. He also expressed satisfaction while reminiscing on last year’s march that for the first time fathers became the more significant parent at the annual Child Month march, as fathers held their children’s hand and marched through Charlestown. “The impact has been more involvement of fathers in their children’s lives and a general commitment of fathers is not only to be fathers but daddies,” said the Premier. This year’s theme is intended to go even further, said the Premier as the Department of Social Services had been promoting strong families, strong programs and strong communities. He pointed to a number of programs that the Department of Social Services had developed and implemented including the Bikes not Bombs, Reading Starts with Us, The Boys Choir, Nevisian Pearls, Skills Training Programs in Trinidad, Basic Electricity, Blue-Print Reading, Care for the Elderly and mentoring of troubled children. He said in addition there were several other initiatives introduced by the Nevis Reformation Party (NRP) Government to ensure well developed children like the Homework Assistance Program, the school lunch program and the One-on-One laptop program.